The 2017 Priegue Family Christmas Card – English Version. It’s almost Christmas making it a perfect time to talk about holiday traditions. A new one for us is family Christmas cards. Back when I was single and happy, they were easy—I rarely sent out any. After getting married, my wife sent out cards for both of us. My contributions were limited to printing mailing labels and dropping the cards in the mailbox. Becoming proud parents meant sending out family cards. We weren’t going for the preppy central casting version of the family posed in front of a fireplace wearing matching Christmas sweaters with a golden retriever in the foreground. We don’t have a fireplace, matching Christmas sweaters, or a dog. It’s amazing how becoming parents changes one’s perspective. Before Cristian was born we sent out cards bearing the image of our practice child—Chico. We even took him to the mall one year getting a picture of him sitting on Santa’s lap. 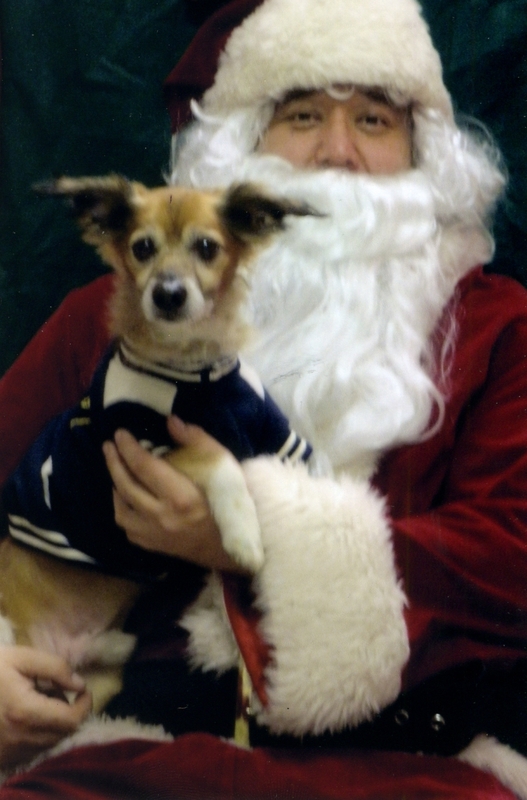 Looking back, Christmas came early for Chico that year as he humped Santa’s leg for a good ten minutes. That was the card we should have sent out. 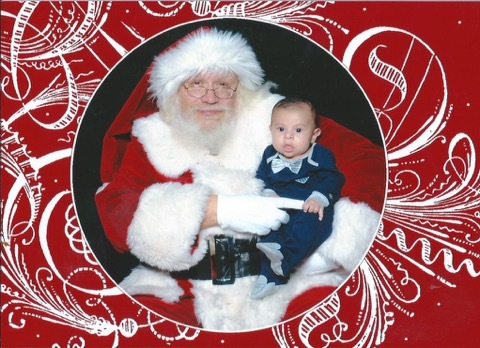 A few years later it was Cristian’s turn as we took our infant child to the mall to meet Santa. It should have been a no-brainer. Cristian was all smiles that day, Esther picked the perfect outfit and we timed his nap perfectly. What could go wrong? It started after leaving him in the hands of an old man smelling of Ben Gay and malt liquor then backing away. He didn’t cry because mommy and daddy were nearby making silly faces, but the deer in the headlights look was not what we were going for. Who is this creepy old man you’re leaving me with? The following year Esther’s sister and son Justin met us at the mall. They boys had a great time playing as the line slowly moved forward. We hoped Justin flashing Santa a smile as he tried convincing Santa to leave an extra toy of two under the tree would motivate Cristian—it didn’t. He threw a tantrum Mariah Carey would have been proud of. Last year we skipped the mall and headed to Hicks, a garden center on Long Island. Sure fertilizer, snow shovels and Santa Claus just screams Christmas, but our annual holiday tradition was like Wile E. Coyote unpacking the latest Acme product and chasing after the Road Runner, so what the hell. Hicks was a pleasant surprise, it didn’t have the Home Depot feel I pictured. Cristian entertained himself running between poinsettias, colorful displays, and a Christmas Village as Esther waited in line. However, new year, new location, same result. 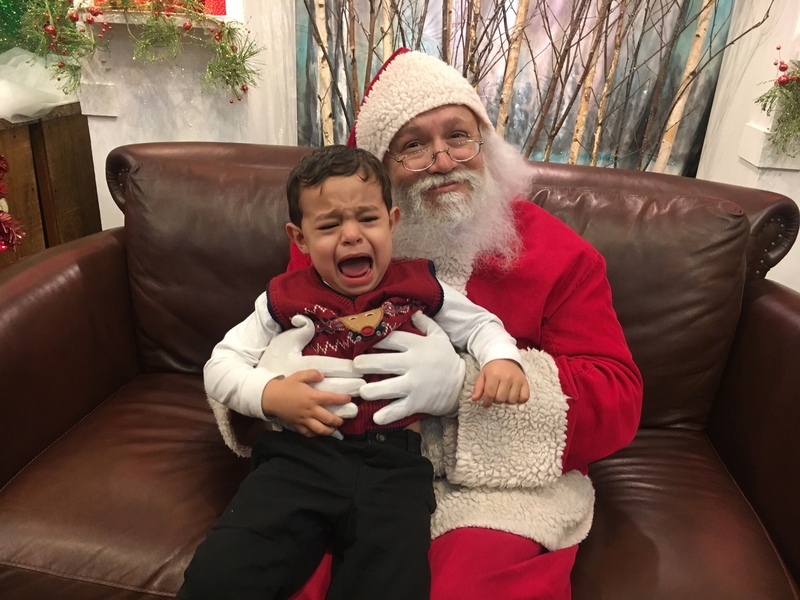 Cristian started wailing as soon as we put him on Santa’s lap, as if he told the baby he was getting coal in his stocking. He ignored me when I tried soothing him by mentioning coal mining was a dying industry. I still think this would have made a great Christmas card. Although preschool taught Cristian about Santa and he now points him out whenever he sees him images of him, we set the bar low this year. Once again, we dressed him up and headed to the mall but he wasn’t feeling it. Esther and I decided to go with Plan B when he froze at the front of the line. We spent the past year collecting a library of cute images of Cristian. While it doesn’t exactly scream Christmas it did keep daddy from cracking open a tequila bottle when we got home from the mall. I dropped the cards in the mail this morning. Merry Christmas!